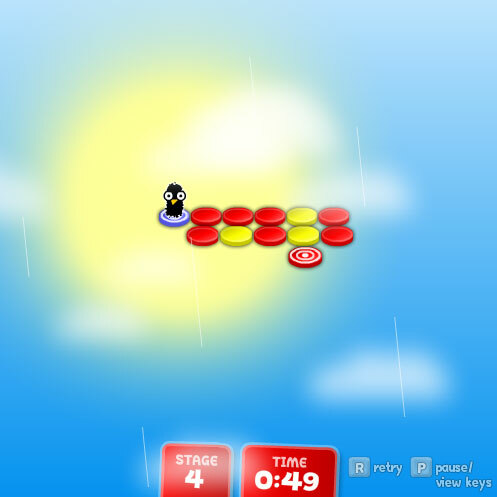 Description Your objective in this addicting and challenging puzzle game is to guide Birdy to the goal platform. You will have to make all the red platform to fall off before reaching the goal platform. There are platforms of various colors and each of them has different behavior. You are given hints about the platforms during the game play. Good luck! Controls Use ARROW KEYS to move birdy.